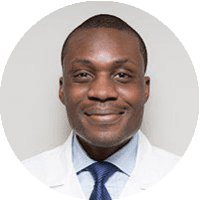 As a top cardiologist serving the Manhattan, NY, area, Dr. Dele-Michael helps men and women understand their risks for heart attack and take steps to lead the healthiest life possible following an attack. A heart attack occurs when the normal blood supply to your heart is interrupted, usually as a result of an artery that has become blocked by a waxy substance called plaque. Over time, plaques can build up, eventually causing blood flow to become severely blocked and causing a heart attack to occur. In rarer instances, the flow of blood can be blocked by spasms in the blood vessels that occur as a result of a condition called Prinzmetal angina. How can I tell if I'm at risk for a heart attack? What can I do to help prevent a heart attack from occurring? The best ways to prevent a heart attack can include seeing your doctor regularly for a complete cardiac evaluation, and doing all you can to address any modifiable risk factors. Eating a healthy diet, having your blood pressure and cholesterol levels monitored regularly, and making sure you get at least 30 minutes of an aerobic exercise such as walking three or more times per week. 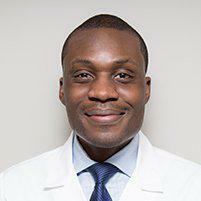 Dr. Dele-Michael will determine your risk factors during your regular office evaluation.